Dan Kary is a Senior Research Analyst, joining Southwick Associates in 2012. He is proficient in data analysis/management using SAS, SPSS, Python, R, ArcGIS and Microsoft Access. Dan completed an M.S. in Ecology and Environmental Science at the University of Maine, where he focused on economics and land use. Dan also holds a B.S. in Biochemistry, having worked first as a research technician and then as a landscaper prior to his graduate studies. 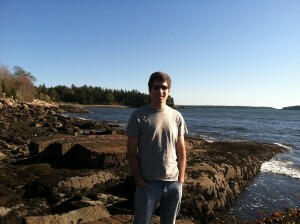 He has a keen interest in the outdoors and enjoys running, kayaking and rock climbing near his home in Maine.